New Delhi: In a major boost to the Army`s firepower, four indigenously-developed and manufactured Dhanush howitzers would be inducted into the force for deployment on the front lines on March 26. 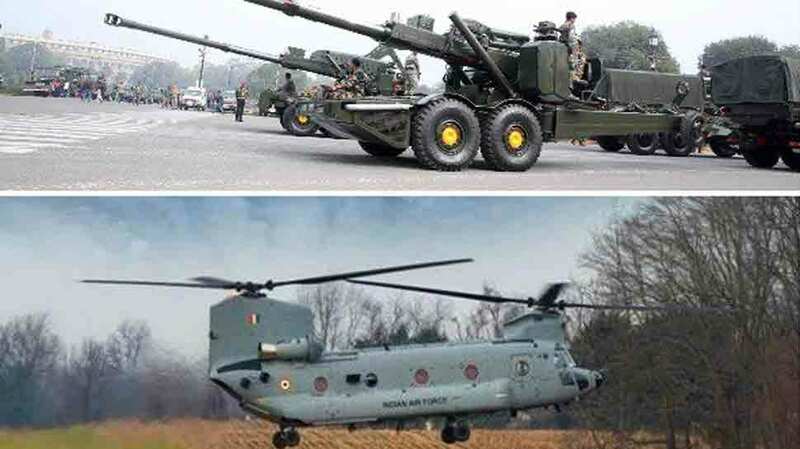 The Dhanush gun system is based on the designs of the Bofors howitzer which was inducted in the Army in 1980s and would be the third type of artillery gun to be inducted into the force after the K-9 Vajra and the M-777 ultra-light howitzers. “The Dhanush guns would be inducted into the Army at a ceremony to be held in Ordnance Factory Jabalpur on March 26 where senior functionaries of the Army would be present,” Army officials said. The Army has placed an order for more than 110 of these guns with the Ordnance Factory and they would help the force to modernise its artillery which had been awaiting induction for over three decades till sometime ago. Meanwhile, the Indian Air Force will induct the first four of its 15 Chinook heavy-lift choppers on Monday in Chandigarh where these helicopters have been deployed. AF Chief Air Chief Marshal BS Dhanoa would be inducting the planes into the force. India has paid close to USD 1.5 billion for 15 of these helicopters which would be also used for deploying troops and machinery at high altitude locations. Chinook is one of the two helicopters other than the Apache attack choppers for which India had signed deals in 2015-16. The supplies of Apaches will also start by September this year when they start arriving at the Pathankot airbase.